ZIMBABWE – Off-spinner Bilal Asif outlined his potential value to Pakistan ahead of upcoming games against England as his five-wicket haul clinched the third and decisive one-day international against Zimbabwe at Harare Sports Club on Monday. Playing in just his second ODI, Asif decimated the Zimbabwe with figures of 5 for 25 as the hosts were bowled out for 161, then scored 38 as Pakistan chased their target in 34 overs to win by seven wickets. The 30-year-old was a late addition to Pakistan’s ODI squad at the behest of Test captain Misbah-ul-Haq, who felt the off-spinner could come in handy against England’s slew of left-handers in a three-match series that starts on October 13. Zimbabwe had made an impressive start after losing the toss and being asked to bat, with openers Chamu Chibhabha and Richmond Mutumbami putting on 89 for the first wicket at a steady pace. But Asif broke the stand in his fifth over when he had Chibhabha caught and bowled for 48, and then went on to take four further wickets in his last three overs as Zimbabwe sank to 133 for seven. “The wicket looked very good for batting and at one stage we were looking to keep them within 270, but Bilal Asif bowled exceptionally,” said regular Pakistan captain Azhar Ali, who watched the match from the sidelines because of a foot infection. Imad Wasim also inflicted damage as he took 3 for 36 on his return to the side, and the only Zimbabwean wicket that did not fall to spin came with fast bowler Mohammad Irfan having Mutumbami caught behind for a career-best 67. 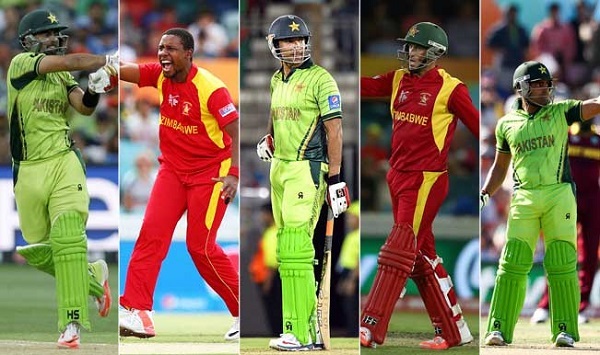 That meant that in the two games Pakistan won during the series, Zimbabwe lost 19 of 20 wickets to spin. Asif rode his luck as Pakistan began their chase before lunch, enjoying a reprieve at slip from the fourth delivery he faced before taking the tourists into the interval on 29 without loss.